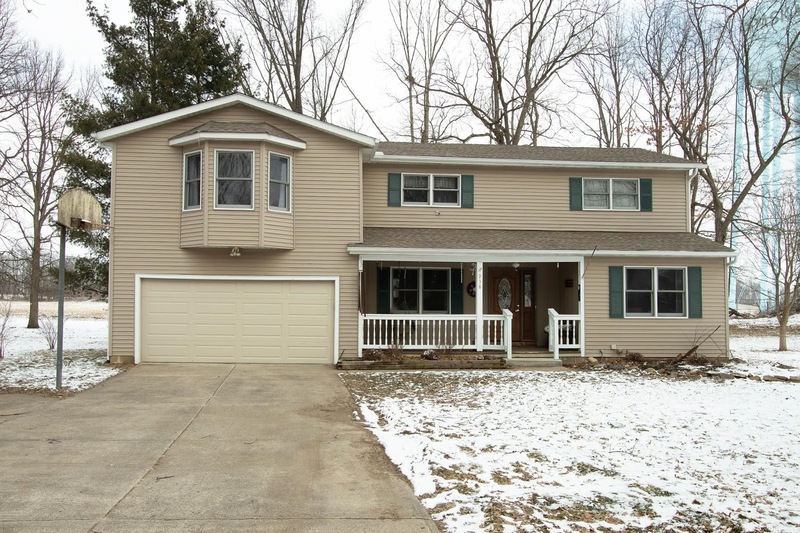 Updated and spacious Two-Story home on ~1/2 acre mature treed lot. Nearly 2,400 SF! Tons of updates since 2009 include: roof, furnace, air conditioning, whole house generator, hardwood flooring, carpet, paint, two updated Baths, lighting and more! Updated Kitchen with new stainless steel appliances, soft close cabinets and corian countertops. Family Room has pellet stove with hearth and mantle. Four Season Room with vaulted and beamed ceiling that leads to deck and beautiful backyard. Huge Owner’s Suite with walk in closet and shower Bath. Be prepared to be impressed! Southwest Licking schools. 4 BRs & 2.5 Baths. Only $249,900! Call DeLena today!